SANTA MONICA, CA — We’ve spent the last couple of weeks talking about the importance of quality, white hat SEO practices. From good content to optimized images, to discussing the difference between black hat and white hat SEO techniques, many aspects of getting a higher ranking on an organic Google search have been discussed. But what about accidental SEO mistakes? Avoid three common SEO pitfalls that often happen in the development part of your website, including: 404’s, server errors, and weird outbound links, as outlined by Glenn Gabe in a recent article in Search Engine Journal. A simple scan can help you determine if you have any of these errors. In this case, Gabe discusses a specific software for scanning a site, but whether using a tool or internal talent, Gabe points out the learning curve ahead when it comes to spotting bad SEO accidents just waiting to happen. “You can learn a lot by crawling a web site… [it is important to note that there are] three hidden dangers that can be uncovered.” Gabe says. To define it simply, a 404 is a “Page Not Found”. It is very important that you eliminate all 404’s, because Google will remove a a site from its index for such an offense, and you’ll lose valuable inbound links. Be sure to trouble-shoot, Gabe advises. “For example, are powerful pages on your site throwing 404’s? Why is that happening? And how much search equity are you losing if they are throwing 404’s? As you can imagine, correcting pages that 404, that shouldn’t 404, is an important task for SEO,” Gabe says. URL “error” messages for pages you didn’t even know you had is more common than you might think. The culprit: content management systems. “Confused? They were too. In a recent audit, the content management system being used was dynamically building URL’s based on a glitch. Those URL’s threw server errors. And Googlebot was finding them too. Not good,” Gabe says. This issue, unfortunately, inches into scary territory: hackers. There are hackers constantly trying to get into every part of your website. Don’t avoid searching for these just because the truth could be a little off-putting. “Here’s a simple question for you: do you know all of the pages you are linking to and from your website? Are you 100 percent sure you know? Are you hesitating?” Gabe asks. Our advice here at Millionairium: know all of the pages that are linking to and from your website, and don’t hesitate to find out if you don’t know. After all, you need to know what is going on with your website, right now. Of course, the best way to tackle these accidental SEO mistakes is to hire professionals with a track record, according to CEO Ali Husayni. But, if you are a hands-on type, learn to install and use Google Webmaster Central. This free tool can save you, big time. 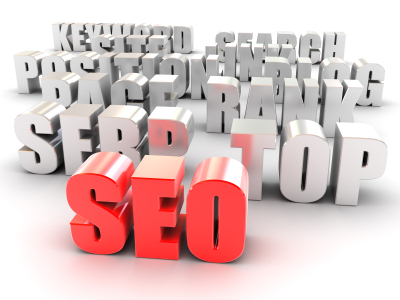 Contact us to find out how our SEO services can help your site avoid these very preventable SEO accidents. How do you think Google judges quality without links? There are billions of websites and using humans to check them all is not possible. So the next best thing is links. Links are how Google rates sites, its and oldie but goodie way. But of course not all links are equal, and Google supposedly don\’t like paid links, but I can see a lots the sites ranking in the top SERPS with a ton of paid for links. I agree that sometimes black hat tactics work, but honestly, not for long. As soon as Google becomes aware of a big content farm or a red flagged site, that ranking goes down dramatically. Wow…. Mastergoogle is amazing… really the master of SEO.